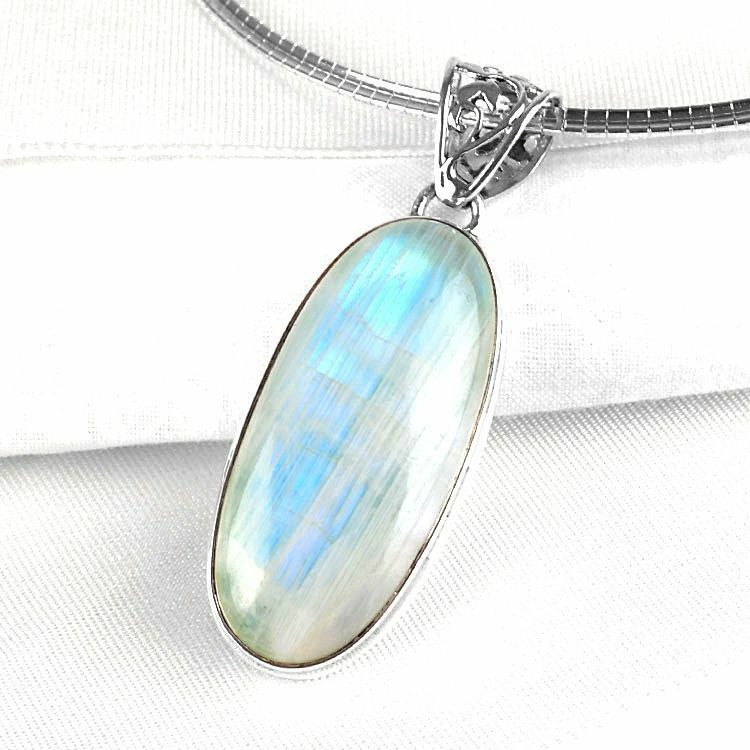 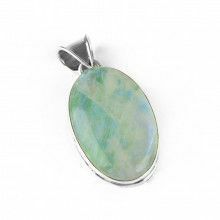 This 1 1/2" long oval moonstone gem that is set in sterling silver is a classic beauty. 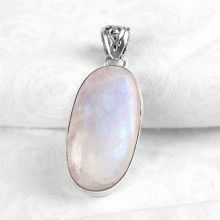 The moonstone's iridescence is magical. 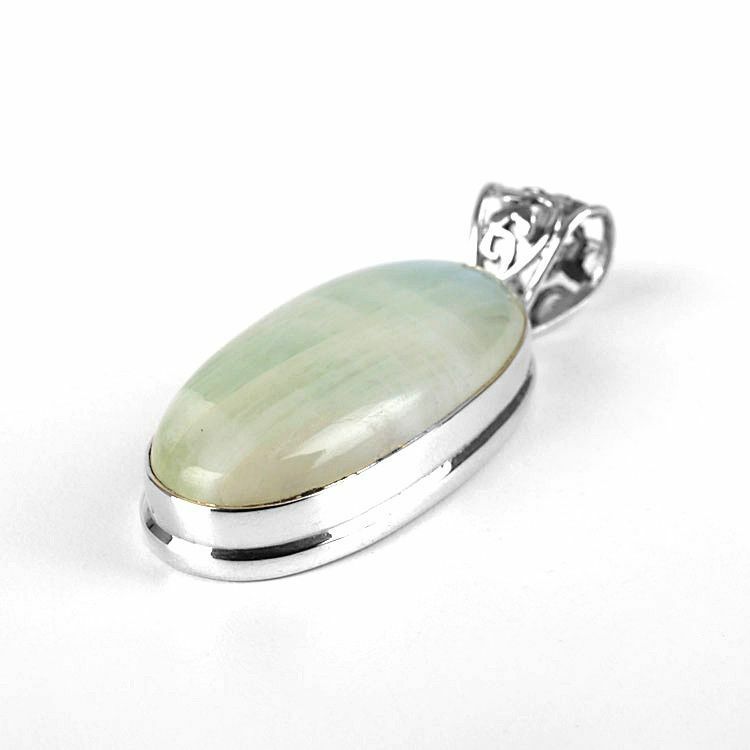 The highly polished stone is accented with an over-sized filigreed bail. 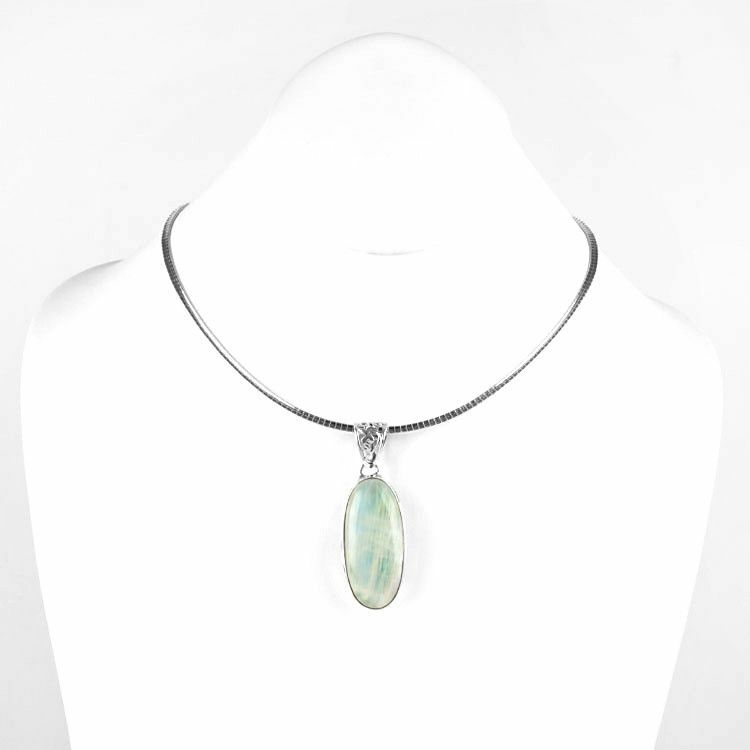 Total length is just over 2" long and total width is 3/4" wide.